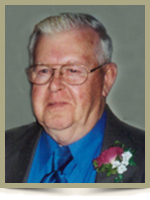 Robar, Rupert Porter, 80, of Buckfield, Queens County, passed away on Saturday, August 24th, 2013, at Harbour View Haven, Lunenburg. Born in Buckfield, he was a son of the late Henry “Harry” and Elizabeth “Lizzy” (Joudrey) Robar. He drove a school bus for 32 years while also working as a mechanic and a truck driver for Harry Freeman and Son Saw Mill. Rupert loved to fish and could often be found fishing his favorite spots on the Medway River. He is survived by his loving wife of 51 years, Sandra; daughter Wanda (Leonard) Amero, of Caledonia; 7 grandchildren; 3 great grandchildren; sister Annie Backman, of Harbour View Haven, Lunenburg; several nieces and nephews. He was predeceased by a son Eugene “Barney”, sisters Florence in infancy, Elsie; brothers Clifton, Warren and Frederick. My thoughts and prayers go out to all of you at this most difficult time. Sorry for your loss our thoughts and prayers are with you all at this sad time. So sorry for you loss.I am sure that mom and dad were there to welcome Rupert with open arms. Our thoughts and prayers are with you at this very difficult time. So sorry to hear of your loss Sandra my thoughts will be with you in your time of sorrow…. I am so sorry for all you are having to deal with at this time. Please know that my thoughts and prayers are with you. Our thoughts and prayers are with all of you at this time. Sorry we can’t be there to share in the celebration of his life. I am sure Marie is waiting to share some of their good times in the post office from the years they spent together. Will see you when we get home. Take care and hold tight to the memories! So sorry to hear,thoughts and prayers are with you all . Dear Sandy,My prayers are with you and your family.May your many fond memories of Rupert give you some comfort over the next little while…Take one day at a time…. So sorry to hear of Rupert’s passing. I fondly remember him driving the bus during my three years teaching in Greenfield. He was always so kind and caring. My thoughts are with you. We were sorry to hear of Rupert’s passing. Sincere condolences to you and your family. Sorry to hear the sad news of Rupert’s passing. Our thoughts are with you all. Sorry to hear of Ruperts / Fathers passing. Its hard to lose a loved one. Our hearts go out to you all. All the best in the days ahead. Sorry to hear of the passing of your beloved Rupert. Our thoughts and prayers are with you. You are in our thoughts and prayers at this very difficult time. Rupert will be sadly missed by all who knew him. So sorry to here that Rupert has passed, my thoughts are with you. it is with great sadness i read Rupert’s obituary… my sincere sympathy. I know you have many good memories, so hold on to those. He will certainly be missed. Hugs to you. My sincere sympathy on the loss of your dad. He was a great man and I am sure you will miss him greatly. Hugs to you and your family. So sorry to hear about Ruperts passing, our thoughts are with you and your family at this time. practice. My condolences to Sandra and her family. He will be missed by so many family & friends. Dear Wanda and family, thinking of you during this difficult time. So sorry about Rupert’s passing. So sorry to hear of Rupert’s passing. Our thoughts and prayers are with you all. We have lots of good memories spent at your farm and when the children were so young.. Love to all..
We were so sorry to hear of Rupert’s death. So glad to hear that you and Leonard were there to help and support you’re mom. The Robars were such a lovely couple. Edmund passed away a year and a half ago and we still miss him so much. My deep condolences and sympathy to the family of Rupert. May the God of comfort strengthen you. In God’s time, you will all be able to echo Job’s words addressed to the Creator: “You will call, and I myself shall answer you.” Praise be to Jehovah, who yearns to bring back to life all those who are in his memory!—Job 14:15. I am so sorry to hear of Rupert’s passing. When I look at his picture it brings back many memories of climbing up the bus steps to meet his friendly smile and good morning greeting. It was a great way to start the day. Whenever I visited your house he was always the same welcoming person. Hugs to you all as you go through this difficult time. Sandra, I am so sorry to hear of Rupert’s passing. I just found out today, Sept. 8th. I hope you are feeling better too after your lengthy stay in the hospital. May God bless and keep you in this time of sorrow.